AGA gets a new tech-savvy member - Anna Sainsbury! AGA gets a new tech-savvy member! As most of us are aware, one must physically be within NJ state lines to wager online. Even if you’re just one foot outside of the state, it won’t work! In other words, the gaming industry has its own border police! Indeed, GeoComply is a unique company, and they monitor every move to protect the integrity of online gambling in NJ. 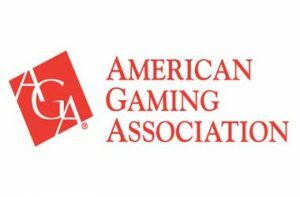 What’s more is that the Vancouver company has also established a stronger bond with the AGA to make the $261 billion US casino industry safer than ever! In fact, in recent news, the AGA announced they had a new member on their board. And it’s Anna Sainsbury who’s GeoComply’s Chairman and her knowledge may well help NJ more then we all think! First, GeoComply is a worldwide leader in geolocation technology. What’s even more interesting is that they’ve revealed a pattern. According to recent findings, 44% of people who come into NJ bets within only two miles of NY/NJ/PA borders. Which, is the right way to do it if you want to gamble online in NJ. However, this brings us to a big question. Sure the legalization of gambling in neighbouring states causes worries in some. But the truth is that NJ serves as a model for many states. So no one should worry about revenue cannibalization! Let’s all remember that NJ state taxes are much lower than in the Big Apple. And because of this, the Garden State will most definitely remain an attractive place for large corporations. Who knows maybe NJ will become the new Tech Mecca for the iGaming industry! Surely it’s best for companies to be right at the heart of all the action like GeoComply is doing!